We’d love your help. Let us know what’s wrong with this preview of One True Heart by Jodi Thomas. To ask other readers questions about One True Heart, please sign up. One True Heart is about trust, forgiveness, and working through the past in order to have a future. Six lives are intertwined through chance when four people are lured to Harmony and find themselves embroiled in a mystery. The story starts out strong as we meet each character and learn their backstory. Captain Millanie McAllen and Drew Cunningham have both experienced and survived life altering tragedies. Harmony offers them a chance to hide and heal without anyone divulging too deeply into their pasts. A chance meeting between them leads to a possible future if they can learn to trust each other. Johnny Wheeler and Kare Cunningham have both been disappointed by those who should have loved them unconditionally. Left alone in the world, neither of them were looking for love but are pleasantly surprised when a dreamer and the realist form a connection. Beau Yates left Harmony years ago and has now returned a famous musician. He and Lark used each other as teenagers to escape their problems but when he discovers she’s the local bank’s VP, he wonders if the girl he knew is still worth the trouble he always wanted. I’ve been a fan of Thomas’s Harmony series from the first book, Welcome to Harmony. A small town contemporary series that follows the descendants of the town’s three founding families. Romance, suspense, intrigue, heartbreak, and laughter all blend together to offer readers a window into the lives and loves of this town. In the beginning, the series focused on Reagan Truman and her life. Since then, Thomas has expanded her world and intertwined other character’s storylines, giving readers a never ending story in which to lose themselves. Because of the soap opera style set up, I don’t recommend you start the series here. Though each book introduces new couple(s), it also proceeds to advance the lives of various other couples from other books with the assumption you are intimately familiar with their lives. I will admit this particular installment was a miss for me. I mourned the sense of comradery, gossip-y nature, and humor that has been a strong selling point of the series for me. Some previous characters make cameo appearances, letting us know what’s been going on, but their interactions felt forced. I felt a sense of rush in the weak conflict development, random plot lines, unusual character development, and an incomplete ending. Each “romance” seems to only touch upon the concept without really divulging too deep into it. It’s all very linear. There was no anticipation. Thomas never promises an HEA in every book. Some stories require multiple books to work out all the issues but if I hadn’t read the other seven books, I would have thought each of these couples (with the except of Beau and Lark) had some history together. So much seems skimmed over in the rush to get to the end. Millanie and Drew have an instant connection from moment they meet but I never bought the attraction. Their chemistry and communication skills were severely lacking, dragging out the conflict. Millanie gets upset because Drew avoids her questions about his past but she herself isn’t truthful with him. Also, Millanie is very judgemental of Drew-thinking of him as boring, unattractive, and most likely to never be noticed. For someone whose entire career was based on her ability to notice things I was constantly amazed by her inability to see him. Beau and Lark had to be the strangest couple in the book. Having met as teenagers, Lark (Trouble) used to come find Beau and they would lose themselves as they raced the back roads in her little red convertible. Having been always attracted to her, Beau knew he had to find his own way before he could be a “couple” with anyone. Years pass and he is pleased to see her again but dismayed by her obvious lack of interest. I was intrigued by the blurb that hinted at a dark secret that might keep them apart but we never learned what the secret was. Or maybe I’m obtuse and missed it. Not having Lark’s POV hurts because we never really learn what exactly her issues were in the past or now when it comes to a relationship with Beau. Johnny and Kare were the life of the book. Cute and funny, their scenes together come off like a vaudeville act. At times Kare’s naivete tried my nerves and I really wished she didn’t feel the need to hide her intelligence. Of all the romances, this one had th most potential. We see the progression from friendship to more as Kare helps Johnny while he’s in jail. Of course, when Johnny makes his feelings known, Kare is uninterested. Then a few chapters later they are a couple. I think. I’m not sure because we never see what makes Kare change her mind about Johnny. And that was the cusp of the whole book. So much is told and not much is seen. Things have a way of working themselves out right after we are told they have no chance of working out. An interesting mystery touches all three couples as Millanie works to discover a terrorist supposedly hiding in Harmony. Random acts of violence proves they are close and it’s only when they all work together are they able to bring them to justice. The ending is abrupt and leaves us hanging there, wondering what just happened. Nothing is really resolved in any of the storylines-the book just ends with a feeling of “we’ll see.” I felt as thought this was an introduction book to a new major storyline as the previous long running arc was resolved in the last book. I’m hoping this is just an anomaly and the next book will revert back to the greatness I am used to from Ms. Thomas. A brief look into the new story which is scheduled to appear later this year in an anthology looks promising. After twelve years in the army Captain Millanie McAllen is now a civilian and returning to her hometown of Harmony, Texas for some rest and rehabilitation. Millanie suffered a career ending leg wound, and at the present she has no immediate plans for the rest of her life. Arriving late at night in Amarillo, the car rental agency at the airport has already closed and Millanie accepts a ride to Harmony with a man also waiting on his bags at the luggage carousel. Being a prudent woman, Mellanie sizes him up before accepting a ride. Andrew “Drew” Cunningham lives in Twisted Creek where he has been hiding from the public for five years. He tells Millanie that he is returning from Chicago where he was visiting his mother; he also tells her his younger sister, Kare Cunningham, is twenty-four, lives in Harmony, and is a fortune teller. When Drew reaches Harmony he assumes that the woman he has been thinking of as Sleeping Beauty for the past couple of hours will be staying at Martha Q. Patterson’s Winter’s Inn, and that is where he takes her. Mellanie isn’t in Harmony on a whim, but an assignment. Someone in her hometown is smuggling drugs and laundering money, and she will be contacted by another agent that has been in town a while longer. Lo and behold if that doesn’t turn out to be Kare, Drew’s fortune telling younger sister. Johnny Wheeler has been arrested for burying his soon to be ex-wife. While he is in jail, Kare visits him and tells him he has no need to worry. The ex-wife isn’t even dead; she just ran off with another man. Beau Yates is now one of Nashville’s best, and is in town because his father is dying. Beau really has no love for the man that abused him physically and threw him out, but he would like to come home for a few days. While he is in town he gets reacquainted with his teen-age fantasy girl whom he calls Trouble. He stays in Harmony longer that he planned on. I loved Jodi Thomas’s latest installment in her Harmony, Texas series. This book lived up to everything I had hoped for, and it will for many more readers. I was so excited for all of the characters in this novel, they were all there….Preacher, Rea, The McAllens, the Mathesons, Martha Q, Beau along with a host of new characters to love. It amazes me how Jodi Thomas can add more depth and more characters yet maintain the small town atmosphere. One True Heart is a heart-warming, touching novel that focuses on Beau and his life after making it big; along with an injured solider returning to her hometown to heal and develop a plan for life after the military. Beau’s story had me in tears, it was so heart breaking to see into his past and watch his life unfold without any real resolve. Parts of Beau’s past could be building up to become his future, however, Ms. Thomas has left his story for another time. Millanie is returning home to nurse her wounds and plan her life; she has never known anything other than military. Professor Cunningham’s world was turned upside down by acts of violence that strike fear in peoples heart, he thought retreating to Harmony would be a good way to drop of the radar. Fortunately for the Professor, Millanie McAllens specialty is digging around and finding out who people really are. What she finds is a quirky, fortune telling sister who pushes her to look past Drew’s history and focus on what they could be together. I cannot find word to express how much I loved One True Heart…I could literally go on for hours. About a fourth of the way into the book, I jumped up from my chair yelling, smiling, laughing and thinking they finally did it, finally! Preacher and Rea fans, yes they make an appearance and I do not think you will be disappointed. Our favorite characters make an appearance although it may be brief it lets us catch up on old friends. A little violence shakes up the emotions and keeps you guessing, at times my heart was racing thinking Thomas did the unimaginable and things in Harmony would never be the same. But true to her writing style, Jodi Thomas pulled through and left me feeling so incredibly happy to have read this novel and I cannot wait for her to return to Harmony. I don’t know what it is about small town secrets and romance, but I never get tired of reading them. The town of Harmony may be tiny but a lot more happens here than people realize. In this eighth installment of the series we have three couples to get to know. First up is Millanie, a captain in the army who is badly injured and must return to civilian life. As she enters the closest airport she is nearly spent with exhaustion when a kindly stranger offers her a ride to the bed and breakfast in Harmony. This chance meeting with Andrew “Drew” an unassuming professor, will lead Millie to passionate heights she never thought possible. Then there is Beau, a successful musician who returns to his hometown when his estranged father’s health is in jeopardy. When he meets his old friend Lark – aka- Trouble, the two renew their friendship. The third story is about Kare, Drew’s sister, and Johnny. a farmer accused of his wife’s murder. Kare knows he is innocent and is determined to prove it. There is so much going on that keeping tabs on these three scenarios became a little disjointed at times. There were a few issues I had trouble with, such as Beau’s story feeling completely out of touch with the other two couples and then a last ditch effort to tie him into their threads, which felt forced and sort of fell flat. His story was my favorite although Millie and Drew had the meatier story line and were the main focus of the novel. Beau and Lark have the most memorable scene in the book which was laugh out loud funny and very sensual. The crime angle of the story was a bit murky and while Millie was supposed to be in charge of catching the criminals, it was Kare who did most of the work. Millie spent most of her time trying to convince herself of Drew’s possible involvement in the crime or convince herself of his innocence, and likewise she worried about their ‘friends with benefits’ arrangement. I liked Kare and her offbeat personality and without her the story might have gotten a little dull. She is actually pretty smart and brave and I admired her loyalty to Drew and Johnny. For some reason the chemistry between Millie and Drew didn’t work for me. Drew was a really nice man, albeit a little dull, who went through a terrible event in his life, but it’s not like it was something Millie would think less of him for. He’s too secretive and that leads Millie to suspect him of being involved in her case. I also wanted more details about what had transpired in Drew’s past, but it was only eluded to briefly. What I did love about the story was how each person was so different from their love interest. An Army captain and a professor hoping to become a published author, a palm reader and a farmer, and a famous musician with the small town banker- none of them made likely couples, but they managed to put their issues aside and became intent on making those differences work in their favor. a wonderful, heart-warming series overall. i must've spent the past couple of months with these books alone, and i'm sad to see the journey come to an end. highly recommended! 4.5 stars. One True Heart by Jodi Thomas is #8 in her Harmony series, and I have read and loved them all. As I began I was a little unsure as there were a few new characters in town and I so love all those ones I know. However - hooked on the first page! Jodi Thomas deftly orchestrates the characters, and in no time at all I was happily treading the streets of Harmony. And there were little glimpses of many of the characters I love. Millanie, returning to Harmony after being wounded in war, tired 4.5 stars. One True Heart by Jodi Thomas is #8 in her Harmony series, and I have read and loved them all. As I began I was a little unsure as there were a few new characters in town and I so love all those ones I know. However - hooked on the first page! Jodi Thomas deftly orchestrates the characters, and in no time at all I was happily treading the streets of Harmony. And there were little glimpses of many of the characters I love. I love small town stories and this is why I picked up this book at my local library branch. As it turns out it is book 8 in a series and my 1st book read from this author. Who knew, lol. ------------------------------------------------------------ I love small town stories and this is why I picked up this book at my local library branch. As it turns out it is book 8 in a series and my 1st book read from this author. Who knew, lol. You can never get bored with a Harmony series novel. Three love stories woven together make a great novel. Beau comes back to town where his roots are. We meet the girl in the red mustang. Four new characters...loved that Drew and the Captain fall in love plus his crazy sister and the farmer. Small town intrigue.Martha Q appears again in her role as innkeeper...I love this town! The characters are interesting and believable. There were three different stories going on in the small town of Harmony at the same time. This is #8 in a series, but there was no problem following the stories beginning with #8. I plan to read earlier books in the series. I usually listen to the audio books. This one was well done. I enjoyed it. New characters introduced as well as familiar characters combine to make a good book. I look forward to hearing more complete story/wedding story Johnny and Kare, Millanie and Drew, Beau and Trouble. I look forward to a follow up on on all these folks. Not really that much to say except this was my last favorite of the Harmony series books. Glad it wasn't one of the first or I probably wouldn't have read the others and that would have been a shame as they are all quite good. I enjoyed all three stories. Order of enjoyment: farmer and his fairy, professor and his solider, singer and his banker. One side note the book hinted that Rick was running for district attorney and would likely grow old single. What happened to his marshall???? This is the first of this series that I have read. It seemed overly complicated. It was a good read but not a gripping read. Maybe if I had read the previous books, I would be more vested in the ancillary characters. Not my favorite, but it a sweet romance of Harmony and Twisted Creek residents. Beau Yates deserves better than a spoiled rich girl who can't make up her mind. I tried to get into this book but it had too many main characters for me. I liked it. I do wish it had more of a wrap up then there was. One True Heart is my second visit to Harmony, the first one being A Place Called Harmony, introducing the founding families in post-Civil War America. It is a delight to now meet some of the heirs of these families and their appreciation for the little town that I enjoyed so much – and I absolutely have to read the books in between now! This visit to Harmony leads us to Millanie McAllen, Captain McAllen, who returns to town even though she isn’t quite sure why. She hadn’t lived there for years. She has permanently left behind the army after an injury that may or may not render her disabled. At the airport, she met Drew Cunningham, an enigma to most of Harmony. Neither is willing to share with the other about themselves, yet they have an unexplainable attraction to each other. Millanie’s induction officer visited her shortly after her arrival; the army was holding up her discharge papers while putting her on a temporary mission in Texas, watching for a criminal that has eluded the Feds. As someone trained to search for people who don’t fit where they are, she was perfect for one last mission, this time stateside. She can, at least, do this mission while living at Martha Q’s bed and breakfast – maybe even get a lead from Martha, who knows everyone’s business but cares for others with a heart of gold. Prim, proper bank Vice President, Ashley “Lark” Powers, and daughter of the bank owner is a fine, upstanding, professional woman. When they were teens, Beau called her “Trouble”; she was the one who got away. When hometown boy, the wildly popular singer songwriter Beau Yates returns to Harmony to visit his father and sees her, she won’t know what hit her! Will they both feel the same way, or will Beau leave his heart behind again? Johnny Wheeler is charged with murdering his cheating wife, but all he knows is that she disappeared with the man he caught her with. And that the local fortune teller believes he is not guilty. He doesn’t even know Kare Cunningham, much less why she feels as she does or wants to prove his innocence..
Jodi Thomas has designed the most remarkable town of Harmony; I’d like to go to visit and maybe settle in for a spell! One True Heart has it all – mystery, family drama, small town friendliness (and gossip), secrets and half-truths, and romance. There’s even a thug or two who are there to harm the hardworking townspeople. The women are stronger than they appear, yet each needs someone to love and care for them in the same capacity that each of the guys needs to be loved and cared for. Some have had broken hearts, others broken lives. All have one thing in common: they refuse to give up, although they might be very hesitant of trusting someone new. I especially like Kare, who definitely is not who she seems to be, and Millanie. They are very different ladies who others would not think they would be friends. I like the strength of character that is demonstrated in the guys and gals who are at the center of the story and how those who are relatively new to Harmony – such as the Cunninghams – can be as much a part of the town as those whose roots go deep – such as Millanie, whose ancestors were among the founding families. I very much enjoyed the characters and the story lines! The author has a gift to have these three plots going throughout the novel as well as for each couple to interact with each other and other people in town. It is delightful to see how Kare and Millanie team up to help each other find the thug(s) determined to harm others through their crimes with the high-rolling backers. Another thing I appreciate about this author is that she stops short of having explicit sexual scenes. While she has scenes that are passionate, she stops short of breaking the privacy of the characters’ moments. I appreciate Lark’s response to Beau, how she wanted to be treated – and would accept no less. These are strong women with self respect and honor! Jodi Thomas has an endless imagination, a sense of humor, a heart that understands others, and the gift to put the people and situations in her head onto paper, translated with words of her heart, and weaves them together into a beautiful town that many of us would like to visit. This visit to Harmony is a treat! I highly recommend One True Heart to women of all ages who have enjoyed their previous trips to Harmony, to women who appreciate a good story with gentle romance, respect, mystery, and a small-town setting. It is worth every mile traveled to get there! “One True Heart” by Jodi Thomas takes her readers back to the pleasant town of Harmony, Texas. “One True Heart” (the 8th book in the Harmony series) is a wonderful blend of new characters and some of the longstanding residents of Harmony that readers have fallen in love with. Millanie McAllen, a newly retired Army Captain, returns to Harmony, the town that her great-great-grandparents helped settle and the one place she has always considered home. Millanie is a strong independent woman who has t “One True Heart” by Jodi Thomas takes her readers back to the pleasant town of Harmony, Texas. “One True Heart” (the 8th book in the Harmony series) is a wonderful blend of new characters and some of the longstanding residents of Harmony that readers have fallen in love with. Millanie McAllen, a newly retired Army Captain, returns to Harmony, the town that her great-great-grandparents helped settle and the one place she has always considered home. Millanie is a strong independent woman who has taken care of herself since she was 19 years old and isn’t accustomed to needing the help of others. The first person she meets upon returning to Harmony is Andrew “Drew” Cunningham, a professor and writer. Not only is Drew handsome he is also a kind, caring, and a seemingly all around nice guy. But Drew has only been in Harmony for 5 years and his past is not something he is willing to talk about. Will Millanie be able to trust Drew and take a chance at love or will her need to know about the past keep her from it? Johnny Wheeler is a hard working farmer whose wife, Scarlett, left him for another man. When Scarlett goes missing Johnny gets arrested on suspicion of murder and everyone in Harmony including his own family believes he is guilty. Prior to his arrest Karaleen “Kare” Cunningham, the local fortune-teller, had only met Johnny once and it was a very brief encounter. Nonetheless, Kare believes with all her heart that Johnny is innocent and she is determined to get him out of jail and give him his freedom back. Johnny doesn’t know why someone he had only met for a few minutes would believe in his innocence but then again Kare is a fortune-teller and being such she seems to live a bit outside of reality. Johnny does know he enjoyed the way Kare lightly touched his hand when she read his palm and that everyday Kare visits him in jail she is prettier than the day before. Johnny also knows he would Kare to touch his hand again and that won’t happen if he doesn’t get released from jail. Will Kare be able to prove Johnny’s innocence and help him get his freedom back? When Beau Yates gets a call stating that his father is on his death bed he leaves Nashville and returns to Harmony hoping for a chance to make amends with his father. Beau effectively slips into Harmony wanting nothing more than to stay under the radar and out of the spotlight so he can be Beau the regular guy not Beau the Country Singer. While in Harmony Beau runs into Trouble, the girl of his dreams and the only girl he has ever had feelings for but she is not the Trouble he remembers. Instead she is Ashley “Lark” Powers, Vice President of the bank, a serious buttoned up business woman not the carefree, jean wearing teenager with her hair in a ponytail that has haunted his dreams. Beau and Lark have done a lot of growing up since they last saw each other they are no longer the two careless teenagers taking midnight rides in a red Mustang convertible. Is it possible for the famous Country Singer and the Vice President of the bank to find some common ground, reconnect and have a future together? “One True Heart” is a wonderful story centered on learning to trust, healing, and opening yourself up for a chance at love. Jodi is such a gifted writer she has a knack for weaving stories of complex yet down to earth characters that her readers can empathize (identify) with. “One True Heart” does not disappoint it is a compelling page turner filled with tenderness, humor, and a touch of mystery. I absolutely can’t wait for the next one! Readers are treated to a one-two-three knockout with Jodi Thomas's latest book in the Harmony series. One True Heart features not one, but three romantic couples. Readers who love this series will love the mix of old and new characters that Thomas brings to the ninth book in the series, about a small Texas town, steeped in history and love. This series just keeps getting better and better. In the tradition of authors like Debbie Macomber and Sherryl Woods, Jodi Thomas gives readers real stories Readers are treated to a one-two-three knockout with Jodi Thomas's latest book in the Harmony series. One True Heart features not one, but three romantic couples. Readers who love this series will love the mix of old and new characters that Thomas brings to the ninth book in the series, about a small Texas town, steeped in history and love. This series just keeps getting better and better. In the tradition of authors like Debbie Macomber and Sherryl Woods, Jodi Thomas gives readers real stories about real people that will touch the heart. A great addition to the series! I have lately become a huge fan of Jodi Thomas and I am often surprised at how long it took me to find her books. The Harmony series is one that strikes close to heart with me. The characters always seem so easy to relate to. The have problems and issues that my best friend might have. They deal with life's ups and downs in a realistic fashion and always bring a smile to lips. Life isn't perfect and I don't want to read about perfect characters. These characters are real and that makes all the difference. In One True Heart, readers get a real mix of romantic encounters. Thomas gives us three love stories instead of just one. I liked the way that Thomas gave each couple ample time to find each other for the first time or to find each other again. I didn't feel like any one romance out shined the other or took anything away from the other. Each one had time to blossom and grow. I was interested to see how they all fit together and I was certainly not disappointed, Thomas has a knack for making it all work out. I think my favorite story of the bunch belongs to Johnny and Kare. Johnny is accused of murdering his wife, Scarlett and just about everyone in town believes he did it, even his family. Kare is a fortune teller who doesn't always go with the flow. She believes he's innocent and sets out to prove it. It was interesting watching their emotions for each other grow while Johnny was in jail. It gave a unique perspective to the story that was very engaging. Millanie McAllen is a daughter of one of the founding families in Harmony, but she has been away at war for a long time. As an Army Captain she could have come across as staunch and hard, but she didn't. I liked the romance between her and Drew and how she was able to resolve his past with the man she had learned to care for in the present. I liked her as a character and thought she added a lot to the Harmony community. I wasn't quite as into Beau's story as I was the other two couples, but that was just a pet peeve of mine. I have a hard time putting 'famous' characters in romantic situations with the common gal. The president of a bank no less. I did like the angle of how much "Trouble" had changed since Beau knew her as a teen and that did redeem that part of the story for me a bit. Also Beau's relationship with his father was a very heartfelt part of the book. As she did in her historical romance about the founding of Harmony, Jodi Thomas takes three couples and intertwines them in this latest contemporary novel set in Harmony. In ONE TRUE HEART, six characters seemingly with no similarities become partners in the quest for a criminal and find love as well. Former Captain Millicent McAllen has returned to Harmony to heal from her war wounds, a shattered leg. Harmony is the last place she felt secure and happy. Unfortunately, that was when she was ten y As she did in her historical romance about the founding of Harmony, Jodi Thomas takes three couples and intertwines them in this latest contemporary novel set in Harmony. In ONE TRUE HEART, six characters seemingly with no similarities become partners in the quest for a criminal and find love as well. Former Captain Millicent McAllen has returned to Harmony to heal from her war wounds, a shattered leg. Harmony is the last place she felt secure and happy. Unfortunately, that was when she was ten years old. Even though my situation is less traumatic than war, I've undergone several ankle surgeries and could identify with Millicent. Drew Cunningham left the horrors of a mass school shooting in which he was a hero to retreat into life in a cabin and teaching one class at a local college. He appears to be a shy academic, supposedly writing a book on local history. He wants no attention and avoids crowds. Drew is the sort of man who reminds me of my husband--he wants no glory but he steps up and does the honorable thing. Kare Cunningham is a brilliant woman who masquerades as a loopy fortuneteller. She found her half-brother Drew to reward herself for her life with isolating but cold parents. But she has another mission. I adored this free-spirit whose loving heart manages to bring out the best in everyone. Johnny Wheeler is more embarrassed than heartbroken when he catches his wife with her friend Max. He farms the land several generations of his family have farmed before him. When his ex-wife told him he was boring, he couldn’t deny the label. Johnny is my favorite of these characters. He is a sweet, hardworking man whose heart needs solace. Beau Yates has made a success of his life in spite of his parents. He’s returned to Harmony to try to make peace with his dying father. Something is holding him in town, though. Here is where the songs come to him and where at seventeen he met the girl whose memory still inspires his music. Ashley Lark Powers has no real complaints--except she didn't want to go into banking. Her daddy owns three banks and her parents are the best. But she can’t forget the young singer who calls her Trouble and sings songs she knows are for her. These six people make three unforgettable couples as they join forces to defeat a foe of the United States. On the way, they find love more powerful than they had dreamed. Ms Thomas vivid writing evokes a mental image. I believe I could walk through the town of Harmony and find my way from Winter's Inn to Hatcher's book store to the Blue Moon cafe and to all the other places she's named in this series. The Mathesons and McAllens and the other residents of Harmony are real people in my mind. I love every Jodi Thomas novel I have ever read. Her masterful storytelling keeps the reader engaged until the last word. Don’t miss this one. I give it 5 stars. Jodi Thomas’ writing is always entertaining and full of surprises and twists that will keep you turning pages late into the night, and, true to form with her previous novels, you will discover a whole new cast of wonderfully relatable (and sometimes quirky :-) ) characters that you are sure to fall in love with. For fans of romance, and just well-written stories in general, I highly recommend One True Heart, as well as the rest of the books in the Harmony series! In this book we get three different but all interconnected stories. There’s Millanie and Drew, Beau and Trouble aka Lark as well as Johnny and Kare. In Millanie’s story she believes herself discharged from the Army and with no family and no place to go she returns to Harmony, the town of her youth. There she meets Drew who is a professor but running from his own demons. Millanie is actually NOT discharged and is then put on a case of finding a criminal the military believes is hiding out in Harmo In this book we get three different but all interconnected stories. There’s Millanie and Drew, Beau and Trouble aka Lark as well as Johnny and Kare. In Millanie’s story she believes herself discharged from the Army and with no family and no place to go she returns to Harmony, the town of her youth. There she meets Drew who is a professor but running from his own demons. Millanie is actually NOT discharged and is then put on a case of finding a criminal the military believes is hiding out in Harmony. Then we have Beau Yates who is a born and raised Harmony boy who hit it big in country music and is now a star. He returns when he hears that his father, the minister that was never actually nice to him, had a heart attack. He always felt more at home in Harmony and while he believes that he will only stay for a day or so that turns in to a much longer time when he runs into the girl he used to take midnight rides with in his youth. Then there’s Johnny Wheeler whose wife left him and he’s then accused of murdering her. Kare is Drew’s sister and she’s the only one who believes him to be innocent. It turns out that the odd pair are perfect for each other. This was a well written book – as I believe that all of Thomas’s books are. The stories of the three couples was very sweet and well done. My issues with the book were that none of the stories, with the exception of Beau and Lark’s seemed very romantic, and even that seemed a little unusual. They were kind of 6 misfits who managed to find people who fit them which is always wonderful, don’t get me wrong, but to me Millanie and Drew didn’t really fit together. I think this was because we didn’t get to delve too, too deeply into either of their backgrounds. Same goes for Johnny and Kare – but they were in their own little orbit. Lol I guess I just didn’t feel as invested in these couples as I have with the previous couples/characters from Harmony. That being said I still found the book entertaining and of course it was nice being back in Harmony again. I have recently become a fan of Jodi Thomas. She writes a book that captures your attention and doesn't let go. It's not an exciting thriller or something like that but somehow her writing just grabs you and the book is over before you realize it. There are three storylines in One True Heart. Jodi has a gift for developing character to fall in love with. Beau which you may remember as the country singer, if you've been following the Harmony series, comes back to town when his father is ill. He ru I have recently become a fan of Jodi Thomas. She writes a book that captures your attention and doesn't let go. It's not an exciting thriller or something like that but somehow her writing just grabs you and the book is over before you realize it. There are three storylines in One True Heart. Jodi has a gift for developing character to fall in love with. Beau which you may remember as the country singer, if you've been following the Harmony series, comes back to town when his father is ill. He runs into an old flame Trouble/Lark) that has been the object of many of his songs. They make quite the couple with his wild country ways and her proper bank persona. Then you have the storyline of Andrew’s sister, Kare and Johnny who ends up in jail. I wasn't sure what to think when I read that Kare was going to be a fortuneteller. However she was quite a surprise and I think you'll love her character. My favorite characters were definitely Drew and Millanie. I love the serious nice guy professor with the Captain. The opening scene when they first meet at the airport was beautifully crafted. Then you have the secondary characters like the bed-and-breakfast ladies; one who has buried seven husbands. She will definitely entertain you. She is a great secondary character which adds even more dimension to the stories. I highly recommend these books. They will entertain you and grab your attention and become people you would know. The book has just the right of amount of humor, romance, and mystery that will satisfy any reader. Jodi Thomas is back with the eighth installment of the Harmony series, One True Heart. The principal characters are all new to the series but there are a few cameos by some of Millanie McAllen’s relatives who’ve been featured in previous novels. I liked the three storylines of One True Heart. Each character is working to get past a personal history they’d like to forget. Millanie and Drew have survived horrific events and just want to hide out in the Harmony area without details of their past bei Jodi Thomas is back with the eighth installment of the Harmony series, One True Heart. The principal characters are all new to the series but there are a few cameos by some of Millanie McAllen’s relatives who’ve been featured in previous novels. I liked the three storylines of One True Heart. Each character is working to get past a personal history they’d like to forget. Millanie and Drew have survived horrific events and just want to hide out in the Harmony area without details of their past being discovered. Neither expected to meet someone who could make them see a new future. 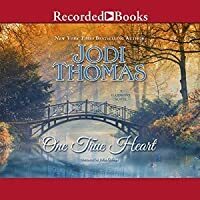 ONE TRUE HEART by Jodi Thomas is another awesome Contemporary Romance set in small town of Harmony, Texas. #8 in "A Harmony" novel, but can be read as a stand alone. 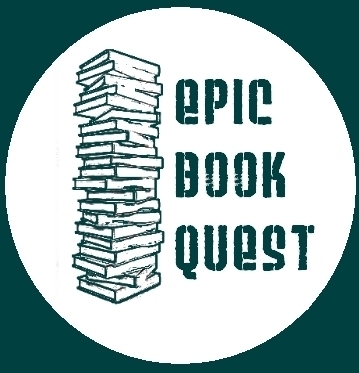 Please visit the author's website for a full listing of this amazing series! Harmony, Texas just keeps getting better and better, in my opinion. In this one we meet Captain Millanie McAllen, Drew Cunningham, Beau Yates, Johnny Wheeler, and Kare Cunningham. Filled with secrets, hidden secrets, buried pasts, passion, and romance. Love b ONE TRUE HEART by Jodi Thomas is another awesome Contemporary Romance set in small town of Harmony, Texas. #8 in "A Harmony" novel, but can be read as a stand alone. Please visit the author's website for a full listing of this amazing series! Filled with secrets, hidden secrets, buried pasts, passion, and romance. Love blooms, as does the promise of secrets buried coming to life. A captivating and intriguing tale of small town life and the people who live in them. Once again, Ms. Thomas has brought together a cast of characters that are charming, yet some are destructive, passionate, romance and love. A well thought out tale, with realistic characters who have realistic problems. 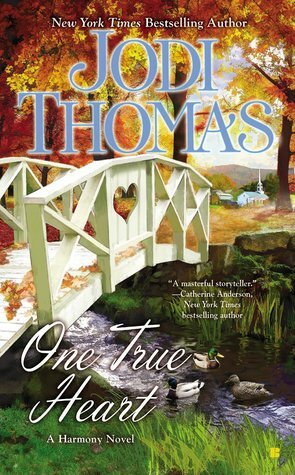 I have enjoyed this series, but I believe "One True Heart" is the best yet, but then we will have to see what comes next in this fast paced, small town story filled with secrets and blooming love. Well done, once again, Ms. Thomas! Highly recommend for fans of small town life, Cozy Mystery, Romance and just a well developed story. Another keeper by Jodi Thomas! Back to Harmony for three couples finding love and romance. Millanie McAllen comes back to the town she had left long ago. Wounded, just out of the military, she is asked to perform another task for her country. Find a money laundering criminal that could be in hiding in her town. Finding one of her suspects, also happens to ignite her passion, she tries to eliminate Drew Cunningham from the list, but he has secrets he will not reveal. Johnny Wheeler is thrown for a loop but the quirky antics of t Back to Harmony for three couples finding love and romance. Johnny Wheeler is thrown for a loop but the quirky antics of the fortune teller, Kare Cunningham. In jail for a crime he didn't commit, and still married to the wife he didn't kill, he works with Kare to clear his record, but finds that Kare is not as she seems. Beau Yates has come back to Harmony to see his dad on his death bed. Reunited with his teenage crush, Ashley Lark 'Trouble' Powers, he works to win the chance for love. Overall, Johnny and Kare's story was the funnest. Millanie and Drew seemed to leave a lot of questions unanswered. Beau deserved a lot better story than what was written. It never made any sense at all.